Hostel is located between in the old town close to old historic buildings. 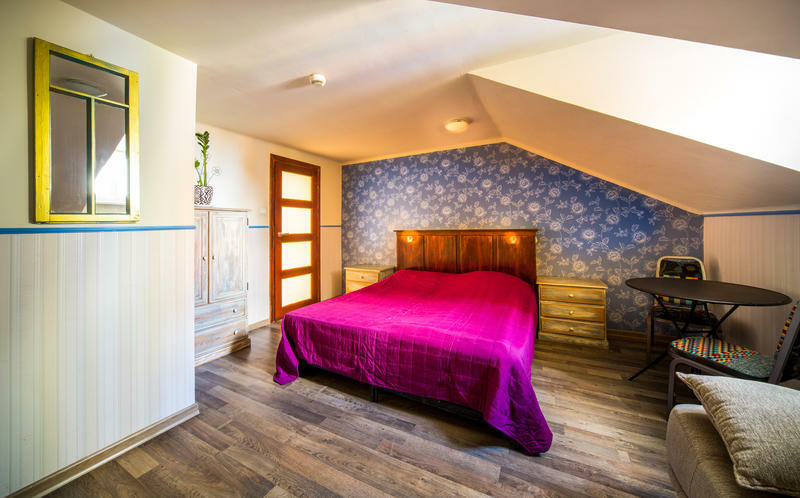 In addition for the more demanding guests property recommend the recently opened 2 private apartments located in the same old part of town. Both apartments have been completely renovated and equipped. You can feel free to use dining-room and prepare meals on your own. Hostel guests can use an available computer - free of charge or connect their own computer to network. Smiling and professional staff will inform everyone what's worth to be seen and where to have fun. All guests can come back to the hostel at any hour of the day. Old Town is very easy to reach from both airports, or any train/bus station. Contact witch us via e-mail and We will recommend You the best way.